Bernie Sanders, the feisty Vermont senator introduced as “Independent in every sense of the word” isn’t likely to change if he runs for President. 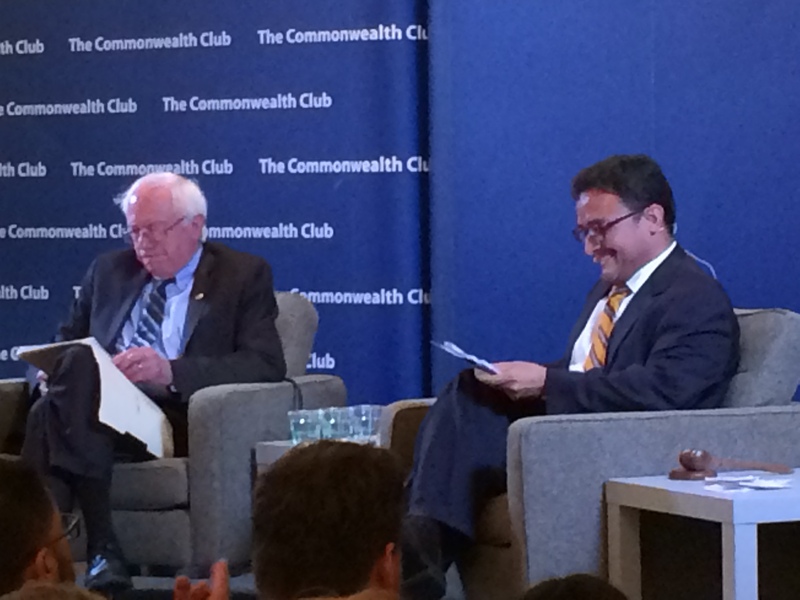 And if he does run – a suggestion that brought the evening’s loudest applause during a recent appearance at the Commonwealth Club of California – it should not be dull. His own platform would likely have the overturning of Citizens United and movement toward publicly funded election as a primary plank, a change Sanders sees as necessary to restoring democracy to our democratic system. Sharing the top would be fixing income inequality, an injustice he terms obscene and grotesque. “Between 2013 and 2015,” he said, “the 14 wealthiest people – Gates, Kochs, Buffett – saw their wealth increase by $157 billion. Not what they’re worth; increase. That $157 billion is more wealth than is owned by the bottom 40 percent of the American people. 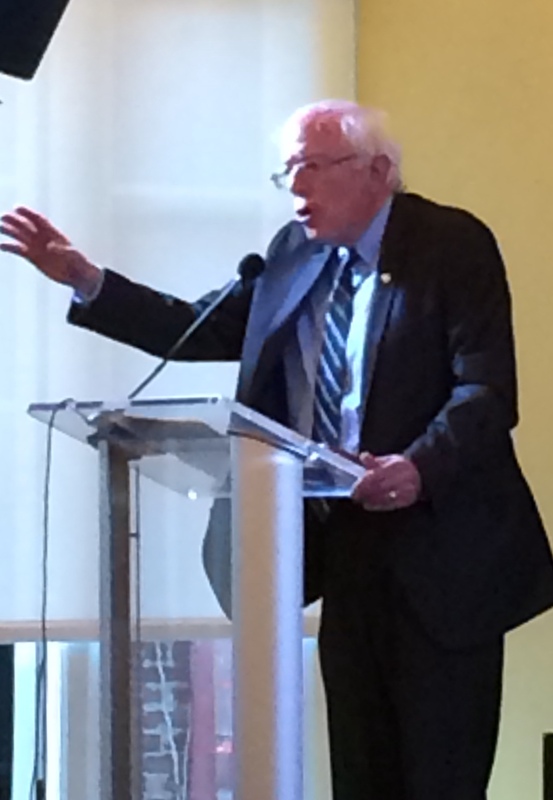 One family, the Walton family, owns more wealth than the bottom 40 percent.” Sanders on income inequality is Sanders in a rage against injustice. The senator also has solutions: make public colleges free, weatherize houses, invest in solar, build a national rail system. Overturn Citizens United. Which sounds a little like he may run for President. Sanders is SUCH a good guy! If he runs on the Democratic ticket, I’ll vote for him in the primary. But I’m afraid he just doesn’t have enough of a political machine behind him. I’m afraid you’re right; he’s not exactly a political machine guy. But thank heaven he sticks around!